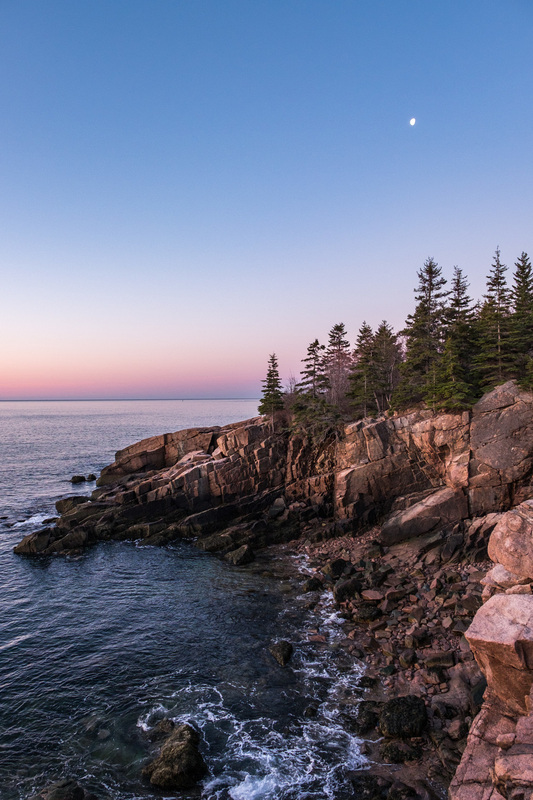 Acadia National Park, located on the eastern coast of the beautiful state of Maine, is a photographer’s dream. Photographers have long been drawn to the rugged coastlines, iconic lighthouses, and warm tones of the northern light. If you are looking to visit this park and are interested in capturing beautiful photography while there, here’s a list of seven great places where you are guaranteed to get a great shot. Without a doubt, this is the one of the most beautiful places within the park. The coastal trail follows perhaps the prettiest stretches of rugged coastline you will ever see. Easily accessible by car along the main park loop, it is a great place to periodically stop, get out, and play with the camera when so inspired. What to shoot: I suggest that you look for leading lines in the rock that draw the eye down the coastline, such as the example pictured right. The sun rising above the trees is also a beautiful sight. Best time to shoot: This is a sunrise location, and is best photographed before early afternoon. Equipment suggestions: A wide-angle lens (in the 16mm to 24mm range) is best for capturing the detail in the rock and the distant horizon. I also liked having a longer lens (in the 200mm range) for distant details and wildlife (mostly bird) opportunities. Other suggestions: While I didn’t shoot any nighttime shots here, I do think it would be a great place for astrophotography. The tallest mountain within 25 miles of the shoreline on the east coast of the United States is Cadillac Mountain, a must-see during any visit to Acadia National Park. What to shoot: The sun! Rising and falling. Try to capture people in the shot, as they add a sense of place, scale, and emotion. 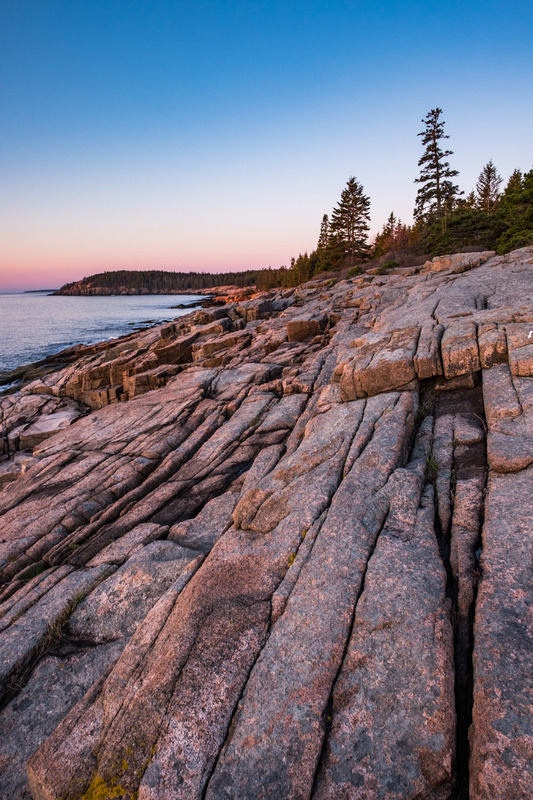 The pink granite rock underfoot, when wet, can take on the beautiful warm colors of the sunset or sunrise, so keep an eye out for that. How to get here: From the park loop road, take the 3.5-mile road up to the summit. There are plenty of places to stop along the way. Best time to shoot: Cadillac Mountain is great both at sunrise and sunset. I prefer sunrise, as there are less crowds (it can get pretty crowded here at dusk during the summer) and I like the views eastward over the distant islands. Equipment suggestions: A wide-angle lens (in the 16mm to 24mm range) is best. Schooner head is a short stop-off along the Park Loop Road, and I would bet most people don’t get here if they are focused on the scenic drive alone. But they would miss out on a really nice little area for photography; one that resembles the Coastal Trail but is shorter and more private. 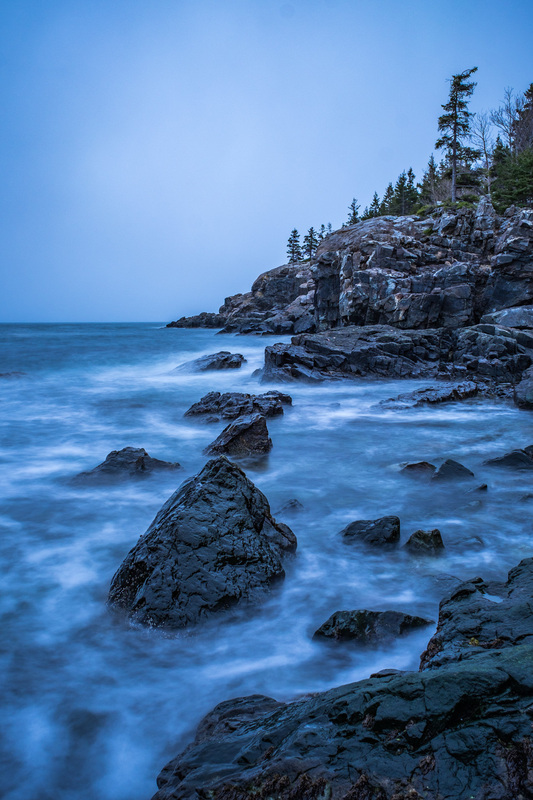 What to shoot: I drove here several times and found it a great place for moody, dramatic photography when the temperamental Maine weather started to act up. 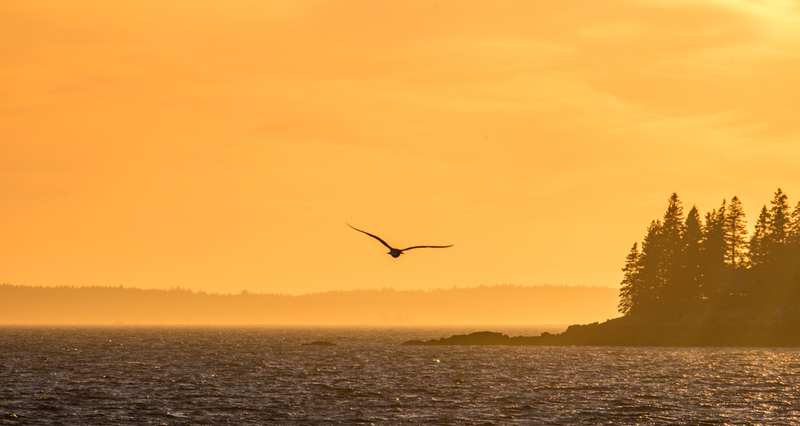 How to get here: Schooner Head can easily be accessed via the Park Loop Road on the east side of Mount Desert Island. From the Schooner Head lookout, take a short walk down to the coastline for the best views. Best time to shoot: I loved being here when the weather was overcast and cloudy. For me, this is the ideal location for moody coastal shots. 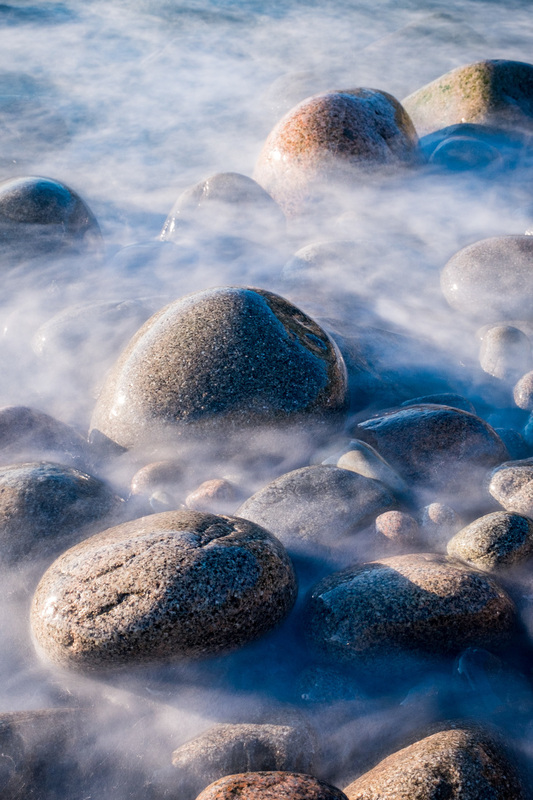 Equipment suggestions: A medium wide-angle lens (in the 24mm range) is best for capturing the detail in the rock. I also enjoyed using a 10-stop (LEE Big Stopper) neutral density filter to blur the water and give the image a ghost-like feel to match the moody weather. A solid tripod, sturdy enough to stand up to the coastal winds, is essential here. I have to admit, I wasn’t expecting much at this location, simply because I was focused on the coast. However, I loved photographing here so much that I came back twice. Besides being a fun place for photos, it is also a beautiful place to take a stroll around the lake. What to shoot: Most photographs focus on the small protruding rocks at the south end of the pond while framing them with the two humps of the Bubble Mountains in the background. How to get here: Jordan Pond is easily accessed along the western side of the Park Loop Road. Walk down the short trail from the Jordan Pond House and you will be right at the south side of the pond, with trails leading in both directions. Best time to shoot: I found the late afternoon to be the best time to photograph here, as the light is best at that time. Equipment suggestions: A wide-angle lens (in the 16mm to 24mm range) is best. I also suggest a tripod that you can rest on the small protruding rocks. 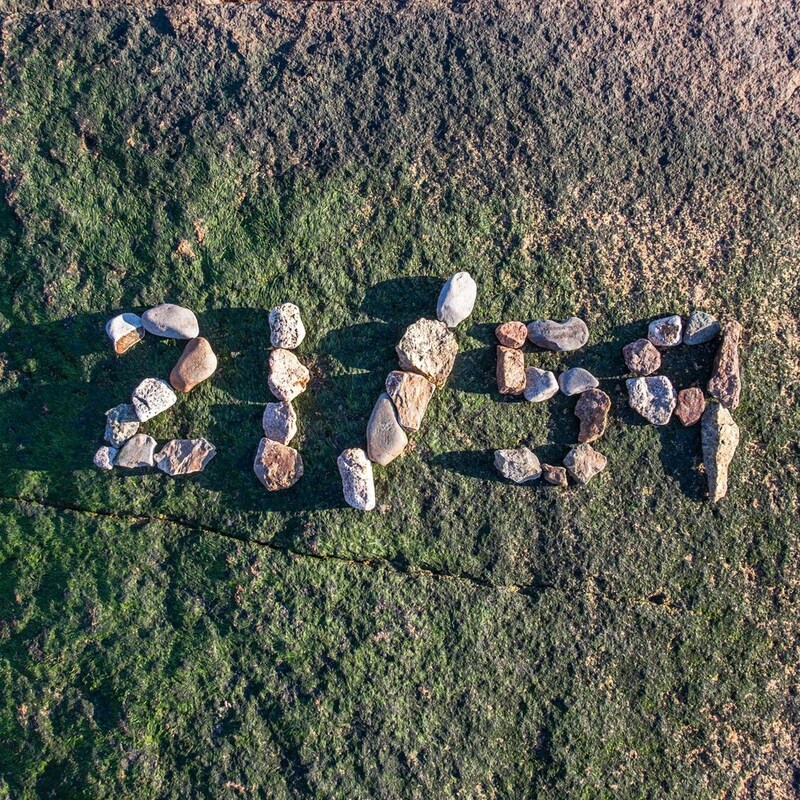 While not officially called Boulder Beach, it has unofficially taken this name due to the seemingly impossibly smoothed basketball-size boulders that make up the rocky shore. These egg-shaped rocks have been tumbled 'round the pounding surf for millennia, and make for fantastic photo subjects. What to shoot: The focus here is finding ideally shaped red granite boulders (perfectly round or egg-shaped), getting low to the ground, and framing them in the shot against the distant cliff. Try getting close to the water as well and catch the water breaking over the rocks, either with or without a neutral density filter. How to get here: Boulder Beach is a stop along the coastal trail. Drive past the Gorham Mountain Trailhead some 500 feet and stop at the next small parking area. Take a walk down the short path to the beach. Best time to shoot: This is a sunrise location, and is best photographed before early afternoon when the boulders take on the warm sunrise colors. Equipment suggestions: A wide-angle lens (in the 16mm to 24mm range) is best for capturing the detail in the rock and the sea otter cliffs to the south. I suggest a tripod as well. Be sure to get low and close to the rocks. While not officially located within the National Park boundaries, this is still a must-photograph for any visit to the area. Situated right next to the Selectmen’s Building (built in 1780), the Somesville Bridge is something that you can’t help but see and stop at when driving by. This idyllic white bridge spanning the small waterway is a fantastic location for photographs. What to shoot: The Bridge! I personally liked getting close to the water opposite the bridge and shooting low from there, making sure to capture a strong reflection. How to get here: Somesville is just over 8 miles west of Bar Harbor crossing the island on ME-233. It makes for a good stop on the way to (or back from) the Bass Harbor Lighthouse. Equipment suggestions: A wide-angle lens (in the 20-24mm range) is best. I also liked to use a tripod here to shoot long exposures. 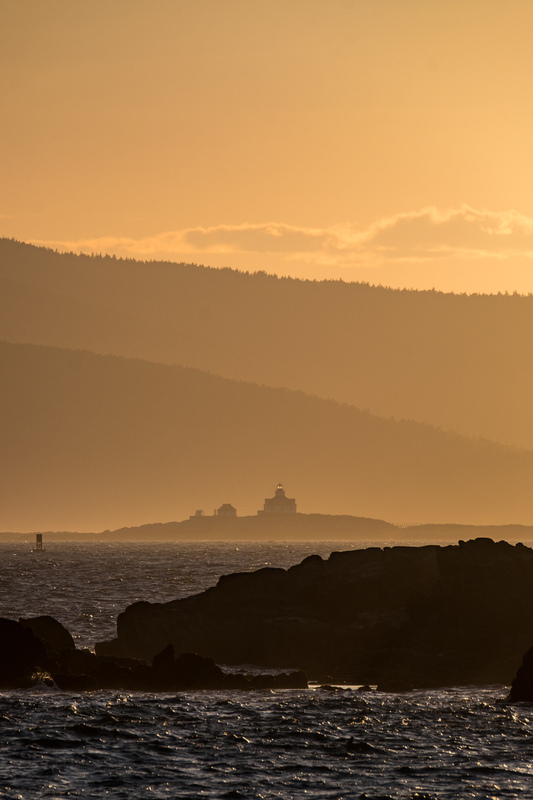 The Bass Harbor Head Light is one of the most photographed (and photogenic) lighthouses in New England. Its stunning seaside location, perfectly perched upon the rocks, is breathtaking to behold. I loved this location so much that I had to go back a second time, and was even tempted to venture there a third. 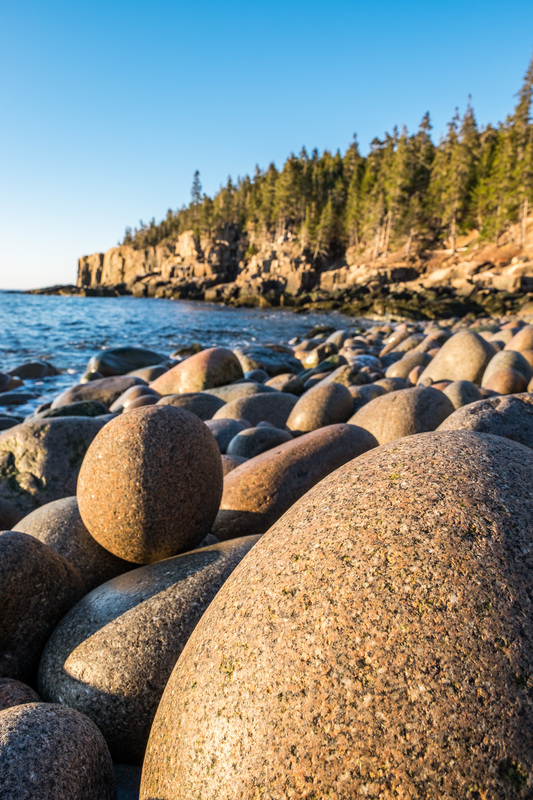 It is, without a doubt, one of the most beautiful sights you will see and photograph while visiting Acadia National Park. What to shoot: Be sure to have a wide enough lens to capture the multi-colored rock below the lighthouse, the waves crashing on the rocks, the lighthouse above your head, and at least some of the trees and sky above that. How to get here: The lighthouse is about 18 miles from Bar Harbor (roughly a half hour drive) on the south side of Mount Desert Island just off route ME-102. Once you park in the parking lot, walk east of the lighthouse down the path and you will find a small set of stairs leading down to the water. Take the stairs and situate yourself near the rocks. Take care to not setup too close to the water/waves, as the sea can be quite unpredictable, and the rocks are slippery. Best time to shoot: This is both a sunrise and sunset location. Most photographers will visit during the sunset, simply because it is much easier than the really early Maine mornings at this latitude. I honestly don’t have a preference, as both sunrise and sunset are spectacular here. Equipment suggestions: A wide-angle lens (in the 16mm to 24mm range) is best for capturing the detail in the rock under the lighthouse and the lighthouse above. 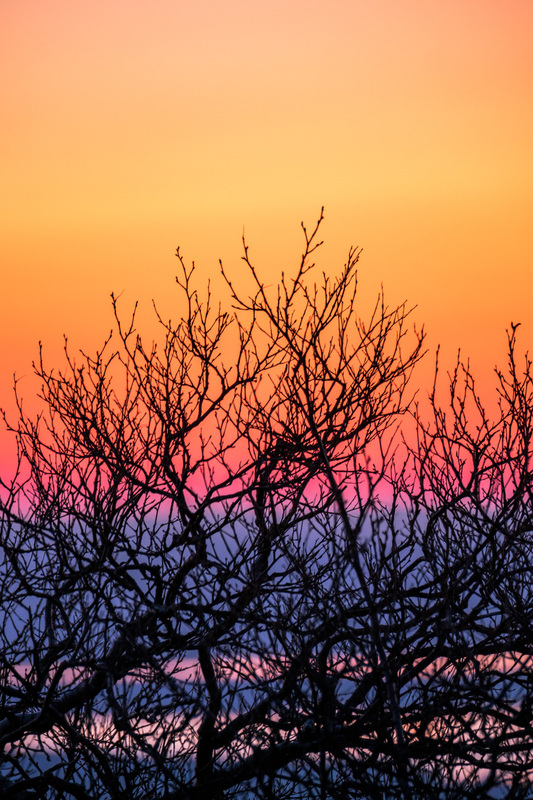 I also liked having a longer lens (in the 200-400mm range) for distant shots of the tree-lined coast against the setting sun (wait for a bird to fly through the shot for the most dramatic images). The setting sun behind the lighthouse produces a strong light/dark contrast, and I would suggest bracketing your shots (2-3 stops above and below) to be sure to capture shadow detail. A tripod is essential, whether shooting sunrise or sunset. 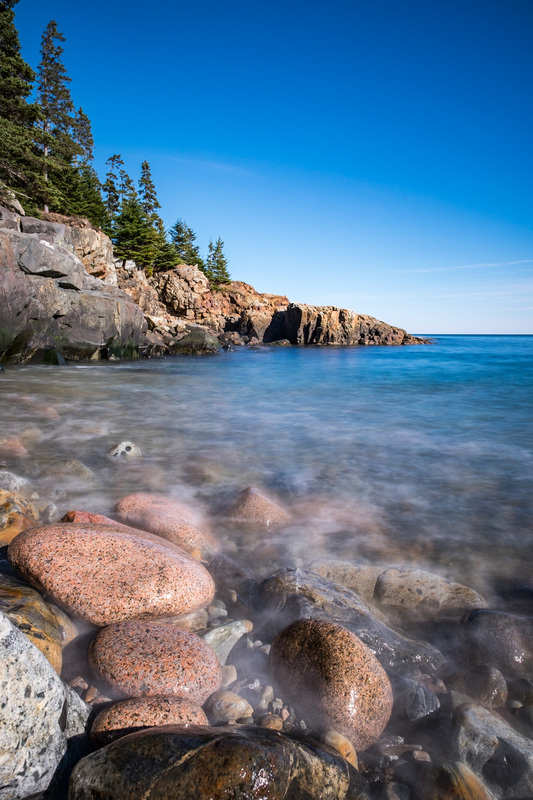 There are plenty of amazing photo locations within and near Acadia National Park. This is by no means a comprehensive list, but rather a general guideline for some sure-bet locations for great images. 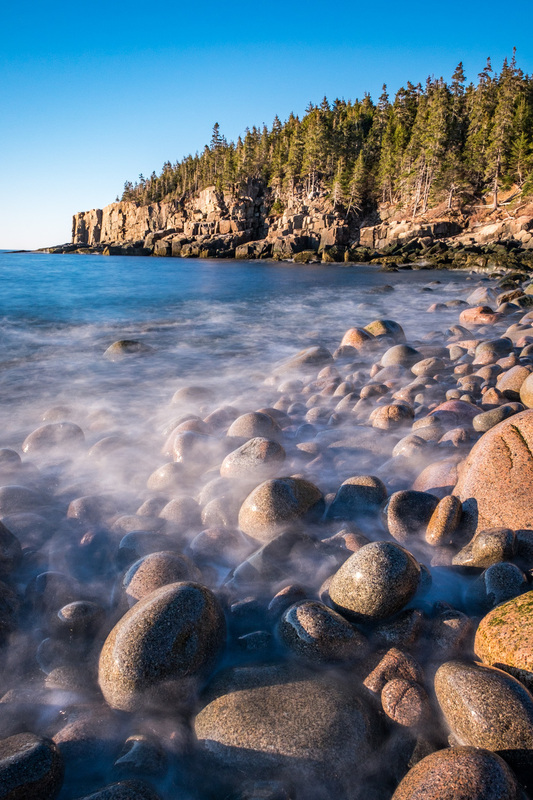 If you are visiting Acadia and want to take home some memorable photos, be sure to hit some, or all, of these amazing locations. 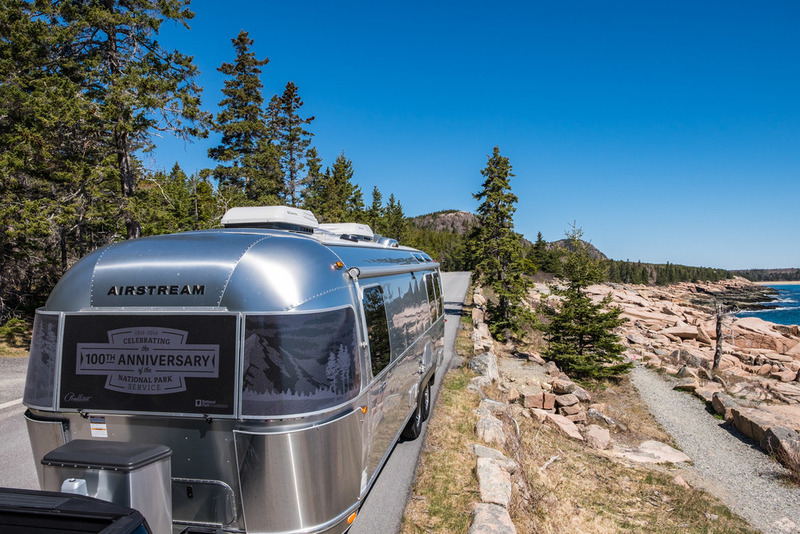 We had a stroke of luck in April, thanks to Airstream and the Ford Motor Company, who outfitted our ride and home on the road for our last east coast park. Read about our rendezvous with the Pendleton Airstream in the Project-Related News section of this site. 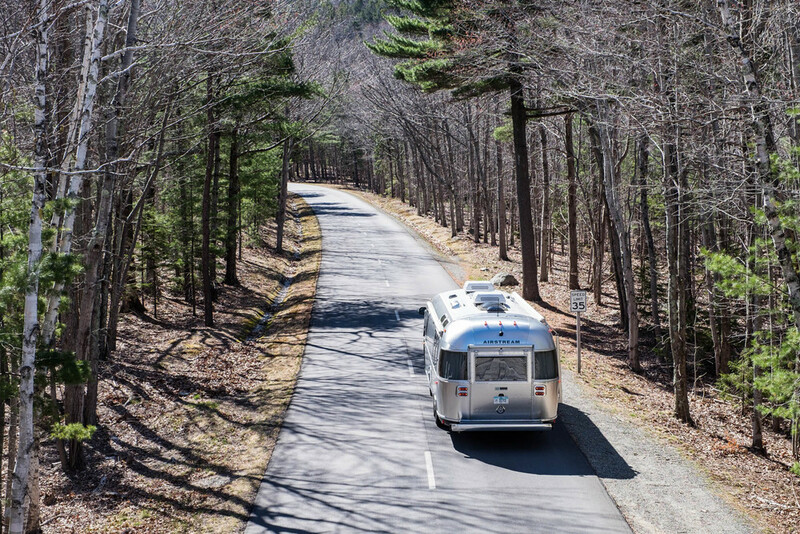 The Pendleton Limited Edition National Parks Airstream joined us on the road in Maine. 47,748 acres | The first national park established east of the Mississippi River. How the park got its name: What’s in a name? In the case of Acadia, several nations, centuries, and leaders can be credited with a hand in naming Acadia National Park. The area was first explored in 1604 by Samuel de Champlain. He named the island he first visited Mount Desert Island, L'Isle des Monts Déserts, which according to National Geographic loosely translates as "the island of barren mountains." President Woodrow Wilson established the park as Sieur de Monts National Monument in 1916 which was later changed to Lafayette National Park, an honoring of the French Revolutionary War supporter Marquis de Lafayette. Stephen Mather, the first National Park Service Director, wished to honor the historic importance of native language and life in the national parks that were in use "before recorded explorations of the area by either the French or the English." Under his encouragement, the name was changed to Acadia in 1929. The National Park Service says the word "Acadia" is a derivative of historical descriptions coined by fishermen and traders who were brought across the Atlantic Ocean to France by explorers in service of Henry IV. 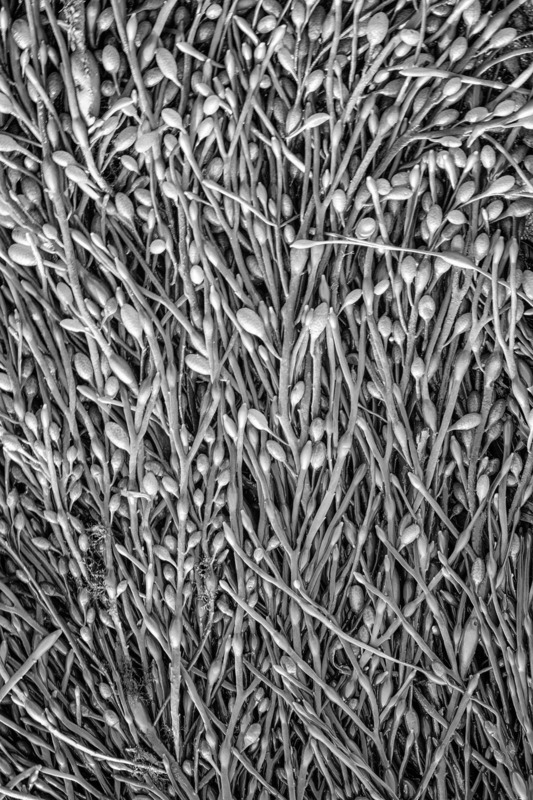 It is believed that the term is American Indian Akadie, or Cadie—meaning a piece of land—which was adapted to l'Acadie by the French who explored and settled Maine and Maritime Canada. So what’s in a name? ...a lot. The iconic Bass Harbor Light House. 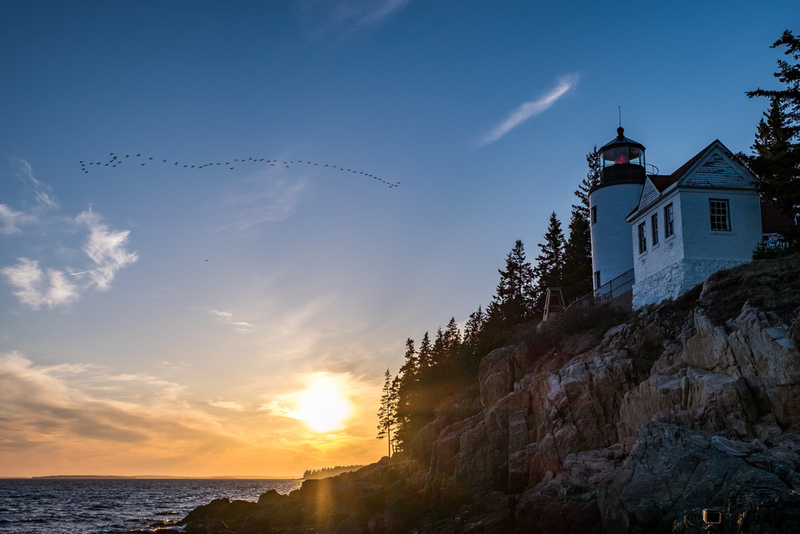 Iconic site in the park: Perched upon a rocky seashore on the southwestern corner of Mount Desert Island stands one of the most iconic lighthouses in the world, and one of the most visited places in Acadia National Park. The Bass Harbor Head Light faces the Atlantic Ocean with a red beam of light that blinks into the distant Maine seascape. Lighthouses have a cult-like following, but they are not just there to shed beauty—the jagged Atlantic sea bottom and turbulent seas have menaced maritimers for centuries, a cause for the 56-foot towers’ construction in 1858. Parking is free and the trail to the viewpoint wanders down a short path and a small set of stairs, though photographers and others eager to get a load of the sprawling sea that cradles the sunset will have to scramble over large rocks that are married to the splashing coastline to position a good view, so bring your walking shoes. Stef hangs out at the start of the Jordon Pond Shore Trail, with a view of "The Bubbles" in the background. Accessible adventure: We enjoyed our visit to the Jordan Pond Shore Trail so much that we went back to explore it a second time. If you want a peaceful experience that is classic Acadia, this lake is the place to visit. There you can view “The Bubbles” (South Bubble and North Bubble Mountains) that reflect perfectly against the calmest, clearest waters in all of Maine. One of the reasons that the water is so calm is that this is not a recreational lake—no kayaking, swimming, wading, boating, or fishing is allowed, as it serves as a water source for the area. 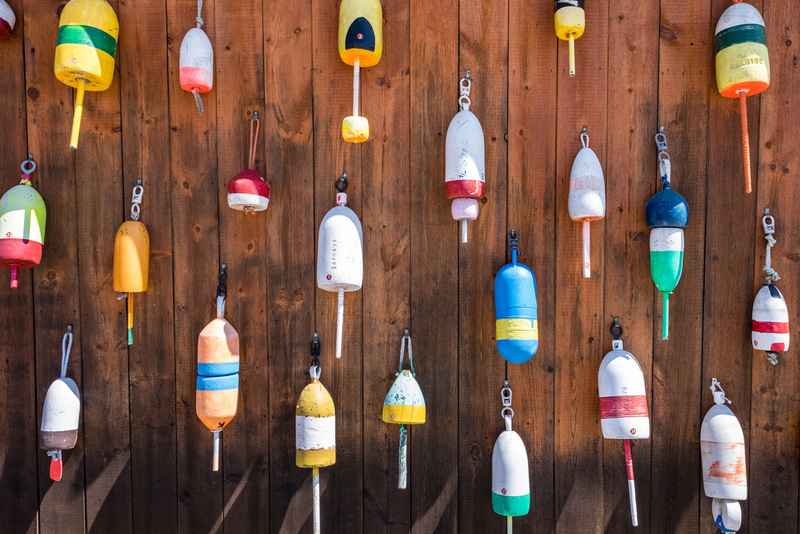 The walk around the lake covers 3.4 miles of flat and well-paved trail, and the Acadia Explorer Shuttle Bus has pickup and drop-offs at the nearby Jordan Pond House all summer long, just a short stroll away from the lake. Sunset view from atop Cadillac Mountain. This is the location from where the United States is lit with its first rays of sunlight each day. 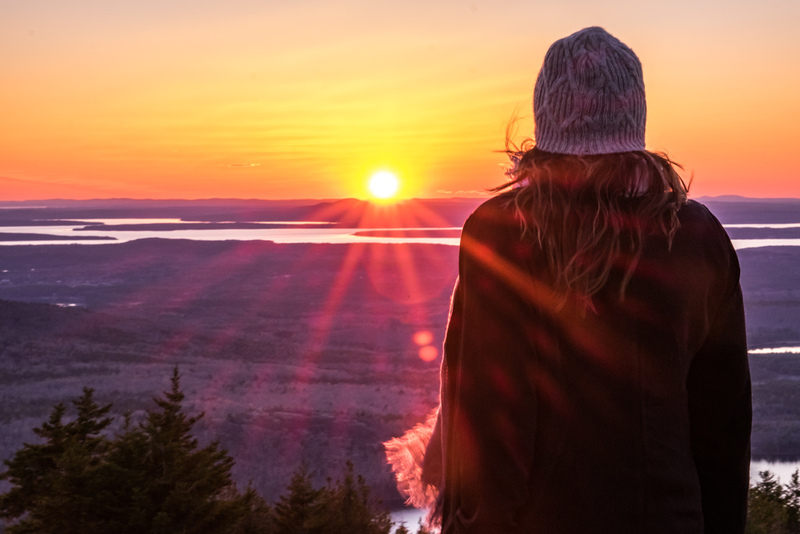 Big adventure: The most visited location in the park is also where the United States sees its first rays of sunrise light each day: atop Cadillac Mountain. There are two routes to get to the peak—you can take a leisurely drive up Cadillac Summit Road, or you can go big and hike the Cadillac Mountain South Ridge Trail, a 7.3 mile round-tripper that leads you to and from the tallest peak in Acadia National Park, rising to more than 1,500 feet above sea level and offering views of the epic seascape along the way. There are several other routes to the top, including a fan-favorite, the North Ridge Trail that crosses more mountainous and steep terrain. The first visible sunrise in the United States can be seen from Cadillac Mountain at Acadia National Park. 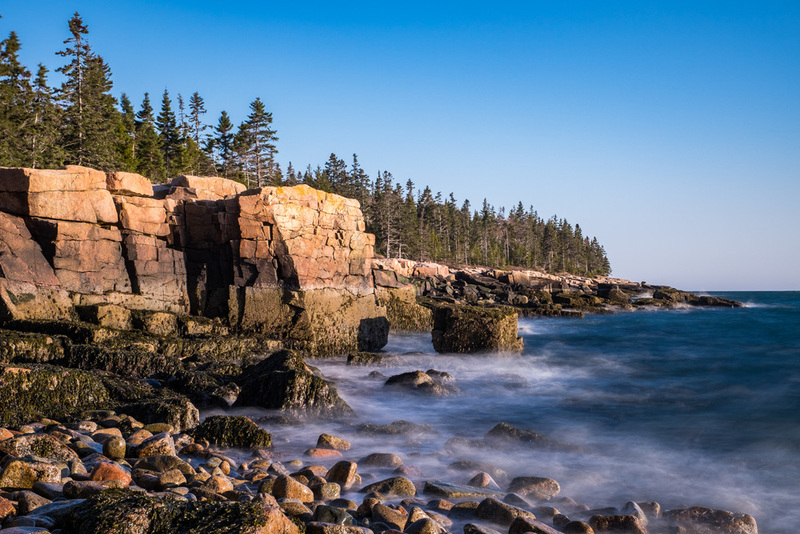 Acadia was the first U.S. National Park to be established east of the Mississippi River. President Woodrow Wilson designated it in 1916, the same year he formally established the National Park Service. Acadia is open all year round but is still a seasonal park. Most facilities in and around the Bar Harbor area are closed, or operate on off-season hours from October through Memorial Day. We discovered that finding an RV park where Wally could rest just steps from the park was difficult, impossible actually, during late April. But there is a certain beauty to be found in our national parks during off-season and Maine exemplifies this, with boundless north-country national park adventures to experience such as snow-shoeing, cross-country skiing, and snowmobiling during the winter, and "mud-season" backcountry camping in the late spring when wildlife is is coming out more commonly. Acadia National Park land was donated to the federal government in 1913 by affluent locals who, together, purchased up 6,000 acres of Maine wilderness to prevent overdevelopment as industry started to move in during the early 20th century. Taking the lead on this was one of the first champions of the park, Charles W. Eliot (the president of Harvard University and a Maine "cottager") and his recruit, a man named George B. Dorr who dedicated much of his life to preserving wild Maine. Today, 89 percent of the state of Maine is forested land. 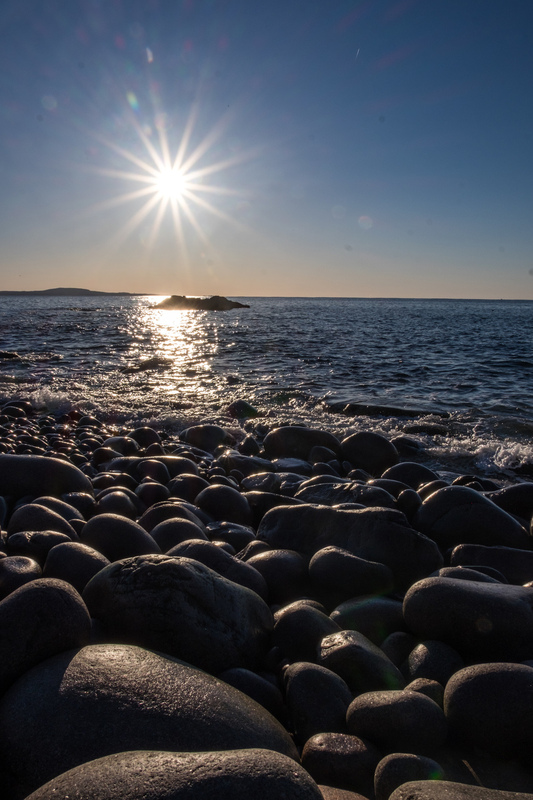 Acadia National Park covers most of Mount Desert Island (where you can explore the awesome small town of Bar Harbor); and extends to the Shoodic Peninsula to the northeast where we found some really cool remote areas to catch the sunset, look for wildlife, and wander quieter shores. Lobster culture colors the surrounding areas of the national park everywhere you look. 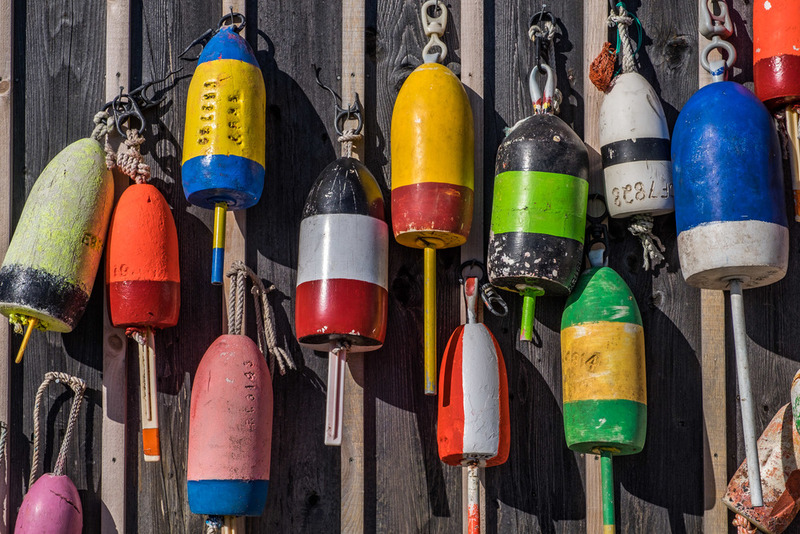 The cold, clean waters off the Maine coast make lobster from this area the most notable in the world. 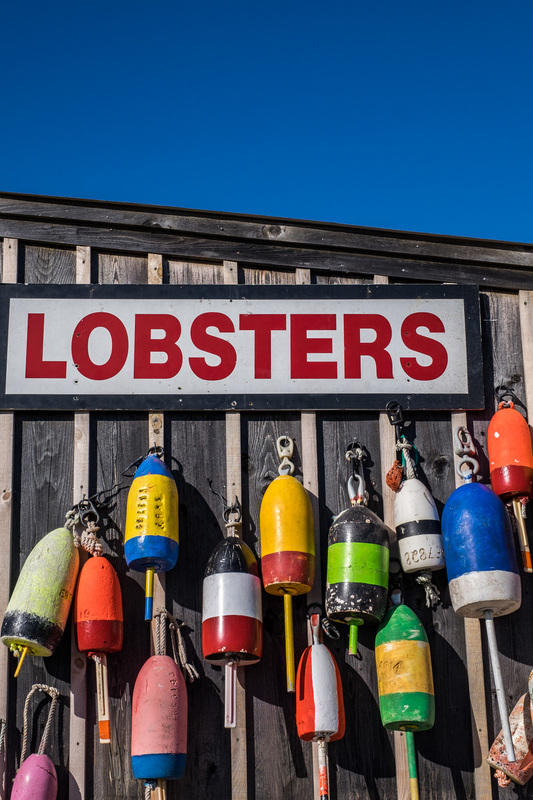 And with more than 120 million pounds of lobster pulled from the Atlantic seas annually, every visitor to Maine has a chance to nosh on the delicacy without spending an arm and a leg. Visit our 'Stops Along The Road' section to see where we went for our only Lobster Roll while in Maine. There is a long tradition of art showing the beauty of Acadia National Park art dating back to the 1800s and the tradition carries on today. 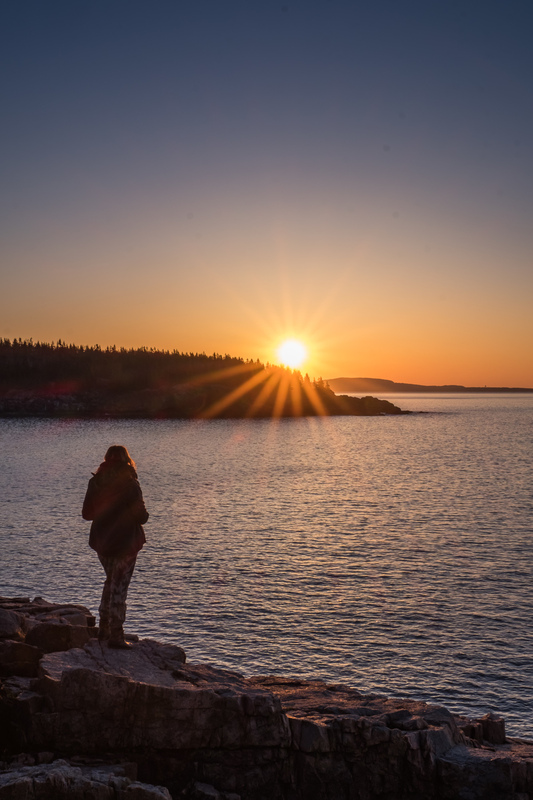 Partnered with the Schoodic Institute, the Artist in Residence program at Acadia National Park invites visual artists, writers, and composers to the park for two-to-four weeks to capture the beauty of the surrounding landscape. Our favorite thing about the NPS Artist in Residence programs is that anyone can apply! There is a local ferry, the Beal & Bunker Mail Boat, that travels between the Northeast Harbor on Mount Desert Island to smaller coastal islands Great Cranberry, Little Cranberry, and Sutton Islands. It is an inexpensive and fun way to get onto the water and to explore smaller coastal islands alongside locals who also use the small vessel for transportation. Each year, visitors wishing to capture the picturesque beauty of the northeast blanketed with colorful copper hues head to Acadia National Park for leaf-peeping. In fact, early October is among the most popular times of year to visit the park. During that time, the National Park Service updates a fall foliage website where visitors can stay abreast of Autumnal activity to help better plan their trip. A carriage road protects the beautiful Pendleton Airstream. 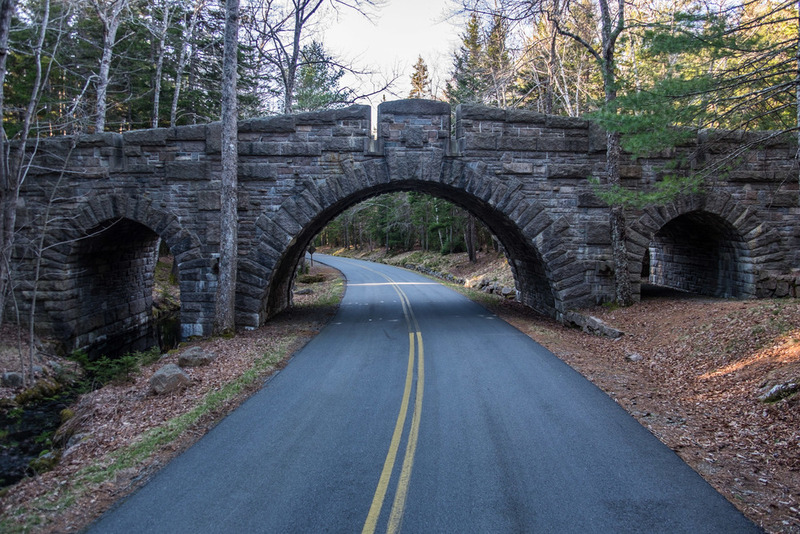 There are 45 miles of carriage roads and 17 beautifully ornate arched granite bridges in the park that were financed by John D. Rockefeller Jr., a local resident, who wanted to enhance the beauty of the park for visitors while extending access into more remote areas of it. After Rockefeller died in 1960, much of the carriage roads that he fought so hard to build became overgrown amid budget constraints. 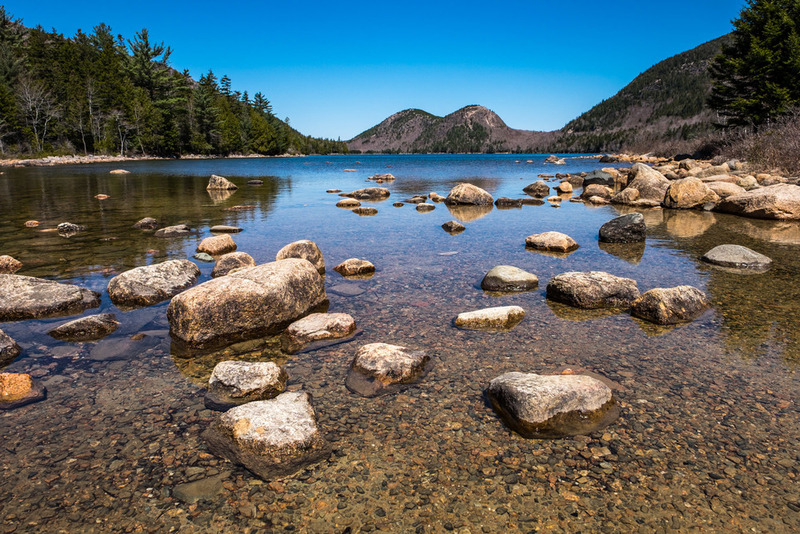 In the spirit of civic assistance, Friends of Acadia (a non-profit) and the National Park Service teamed up in the 1980s to complete a $8-million restoration project that brought these areas back to beautiful life. There was a devastating fire in Acadia in 1947 that destroyed more than 10,000 acres of parkland. John D. Rockefeller, a tireless advocate and financial supporter of the park came to aide a rebuild. Once again, thank you J.D.R.! Acadia National Park has 26 mountains within its boundaries. 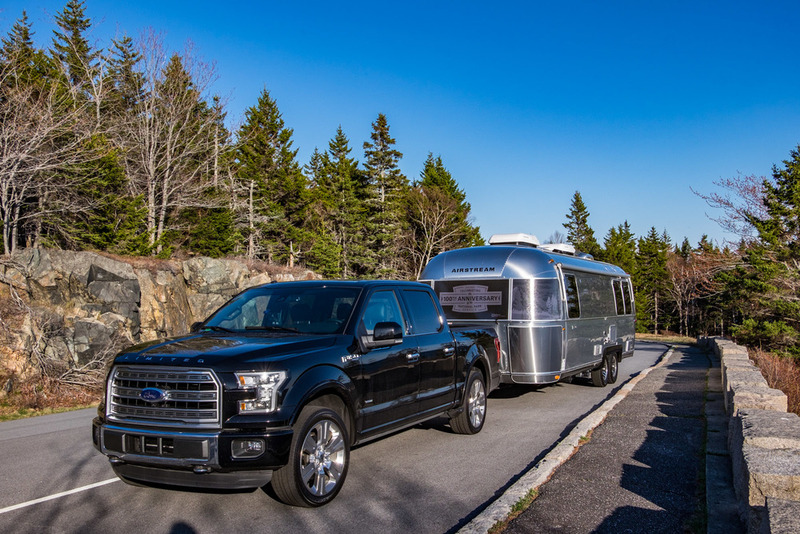 Our home and ride for a week while in Acadia -- the Pendleton Limited Edition Airstream and Limited Edition Ford F-150 tow vehicle pulls us along Park Loop Road. One of our favorite ways to first explore a park is to head out on a scenic drive, as that is what most visitors almost always do too... and we want to see what they see. 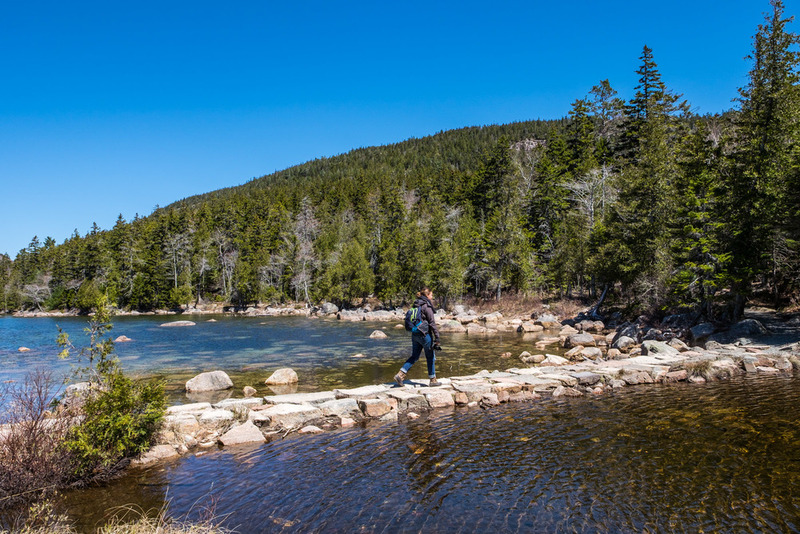 At Acadia, the scenic Park Loop Drive is a 20-mile one-way loop road that brings you to iconic places such as Boulder Beach, Thunder Hole, and the Jordan Pond House. Head to "Thunder Hole" to listen to the reverberation of the sea pounding the rocky shoreline. Acadia is a park ripe for birders. Puffins, Warblers, Peregrine Falcon and other Birds of Prey soar above the area enticing birders from all over the world. 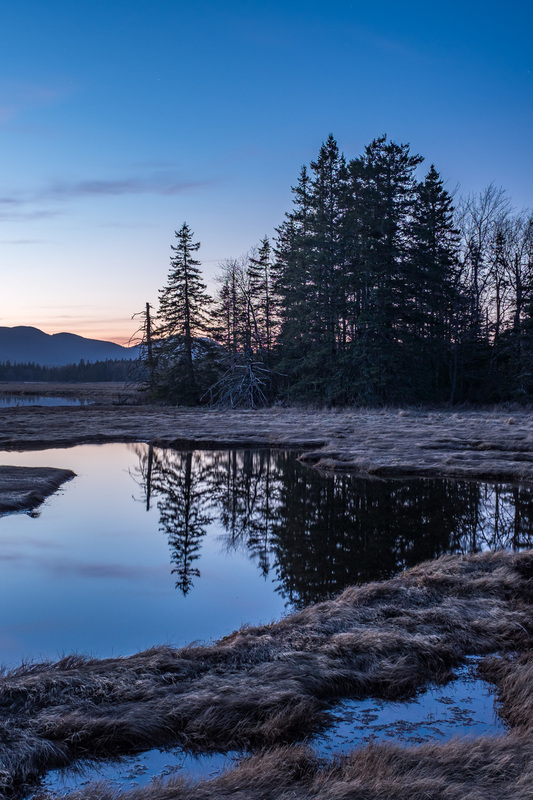 20% of Acadia National Park is made up of wetlands. 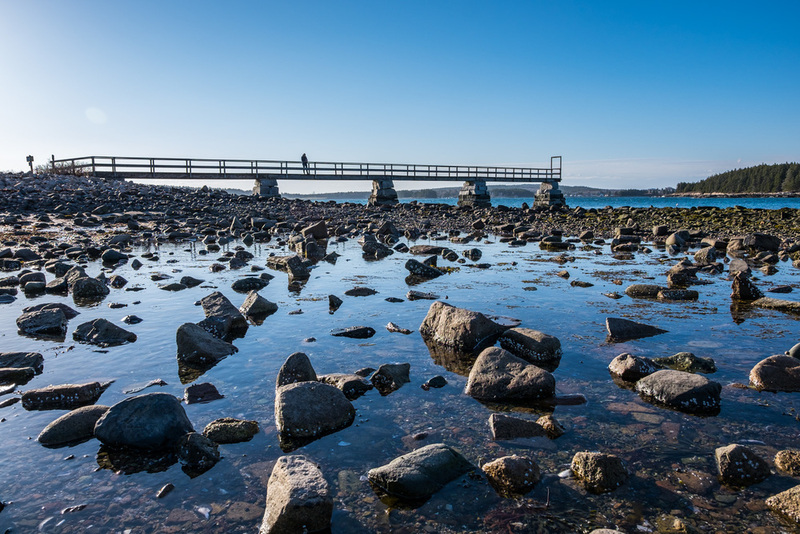 Acadia is one of the most visited parks in the United States. The best advice we could give to any visitor to Acadia National Park is to check for park alerts on the official website before visiting. 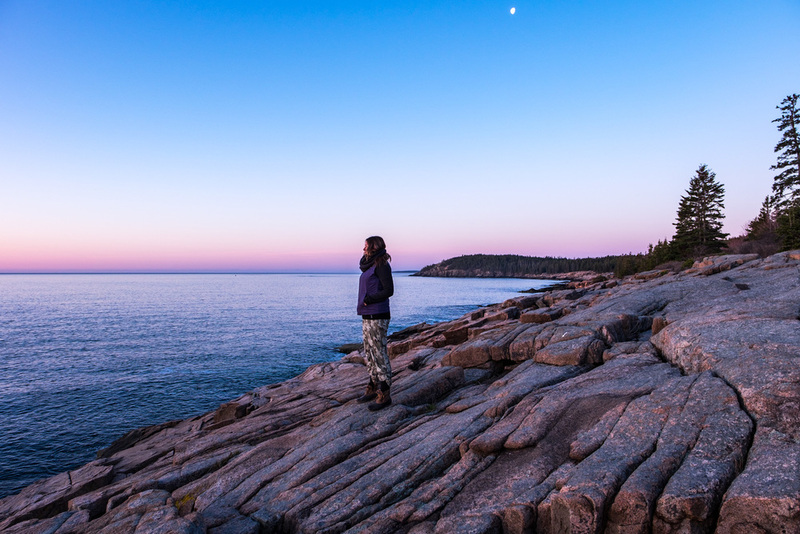 Acadia's northern position makes closures a probability, and what we love most about our wilderness places—they are always changing for an abundance of reasons. A special thanks to National Geographic, Fujifilm, Airstream and the Ford Motor Company for making this project possible.